Also, hey how you doin' VGF? Hey. I’m doing well. 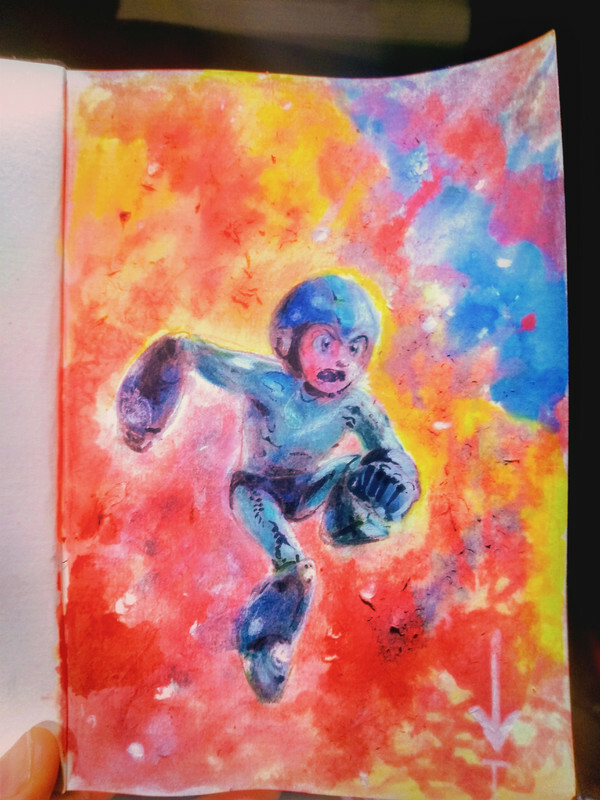 Dope Mega Man art. You doing well? Good to see you around some more AI! And with more artwork, this is the best. Good to see you doing more art. Looks great, would hang in bedroom. Thanks bud! I'm getting on okay and working on what sound and visual work I've begun already, which is like several careers' worth, so who knows what and how I'll finish. Just overall chilling and living life. Strongly contemplating building a tree fort again. Thanks for your word, means a lot. Maybe we can do an art trade thing or something sometime? What's there to contemplate? Tree fort? TREE FORT. Great to see new arts from you, dude. It's always inspiring to me. That metallic shading on the pencil version is freakin' awesome. Is that first one done with colored pencil or watercolor or...? I particularly love the colours!! Very amazing art, as always, AYEEYE!! Yo. 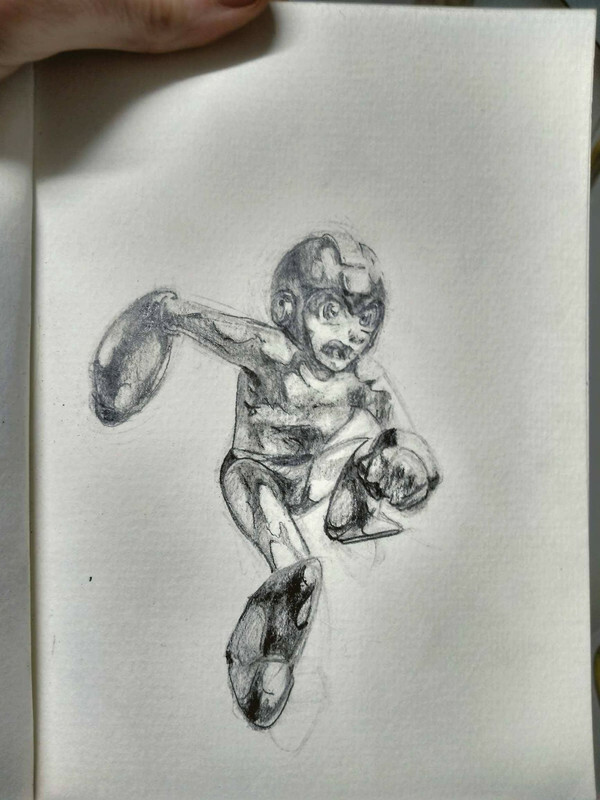 That Mega Man art is giving off epic vibes. I like it. Something feels off about his left leg though. Can't put a finger on it. Exaggerated foreshortening, probably. The picture's actually really small and that affects my judgement on how much to change in terms of depth. Fwiw, I wasn't asking for critique, my guy, but I know people can't resist hey.